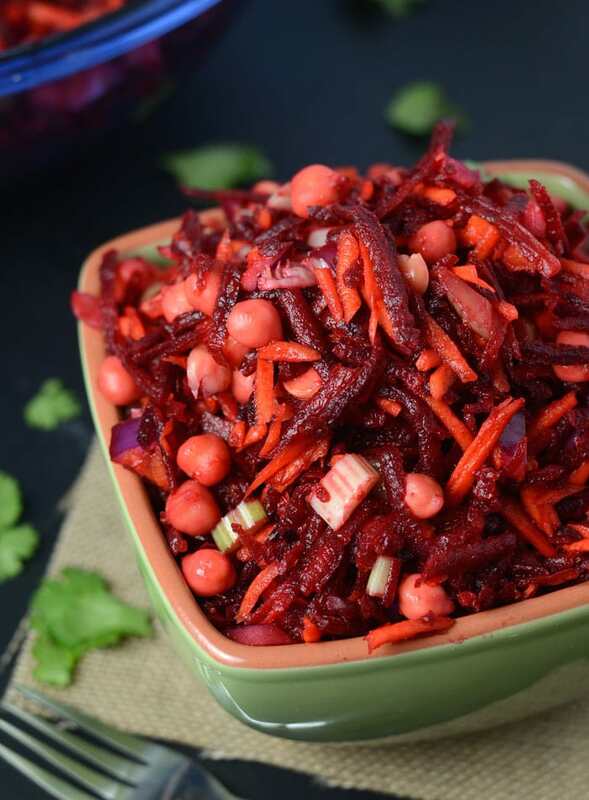 The first time I made this vibrant raw beet salad with chickpeas my husband loved it so much, I knew I had to make it again. Typically, if my husband likes recipe, I know I can share it the blog. Don’t get me wrong, I love it too but I’m much less picky and usually scarf back whatever is in front of me (animals not included). 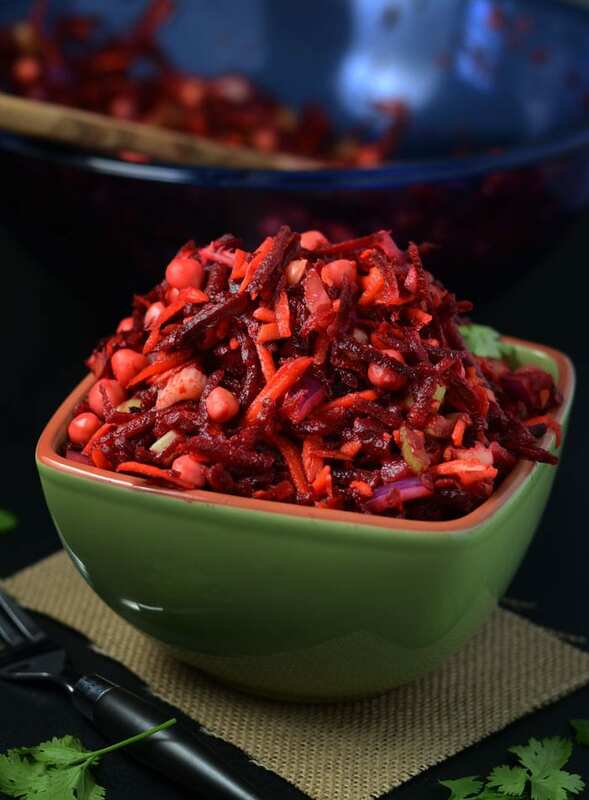 I not only love the flavour of this simple raw beet salad but I also love how healthy, vibrant and nutritious it is! It’s also really easy to make and can be ready in about 10 minutes. A little grating, sliced and dicing and you’re all set! Beautiful beets are high in immune-boosting vitamin C, fiber, cancer-fighting antioxidants and essential minerals like potassium and manganese, which is good for your bones, liver, kidneys, and pancreas. Beets also contain the B vitamin folate, which can help reduce the risk of birth defects. Beets are a great food for athletes due to the anti-inflammatory properties of betaine. Beteain is known to help fight inflammation, protect internal organ, improve vascular risk factors, prevent chronic disease and improve performance. Beets may also help to improve stamina during both low and high-intensity exercise, another reason to include them in your diet if you’re highly active. Sign. me. up. You can add cooked beets to smoothies, roast beets with salt and pepper for a snack, enjoy them lightly steamed or make healthy beet chips to enjoy post-workout. 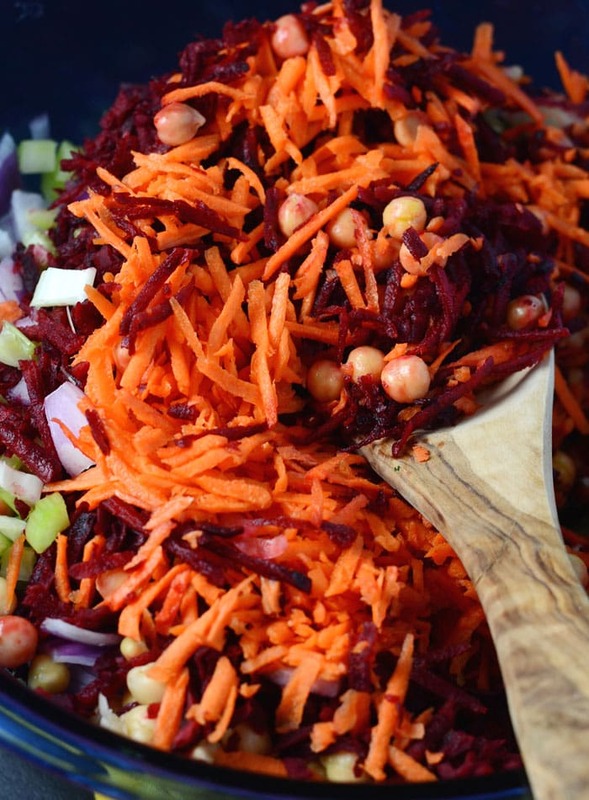 And of course, eat this vibrant raw beet and chickpea salad anytime you feel like it! This salad makes a 10 minute dinner win!! 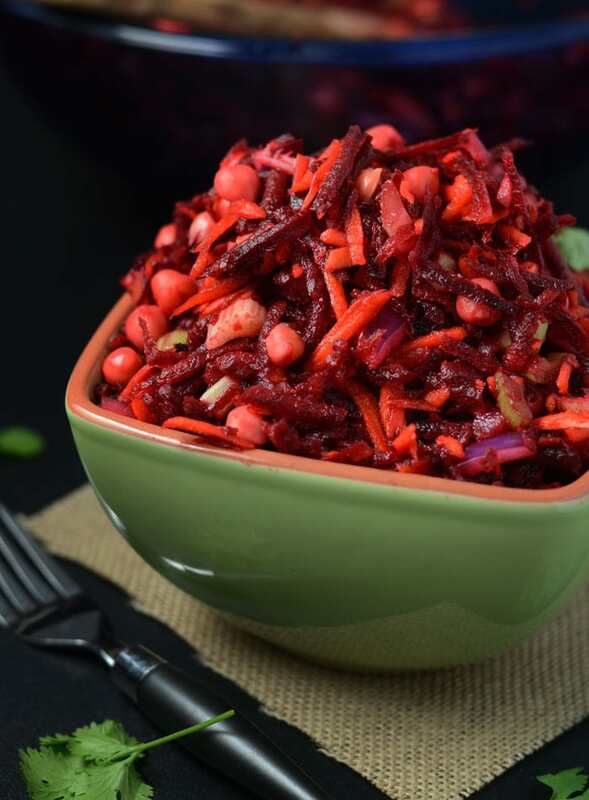 Warmer weather is on it’s way so turn off the stove, grate up some veggies and dig into the beautiful beet and chickpea salad. Add all ingredients to a bowl. Mix well and serve. 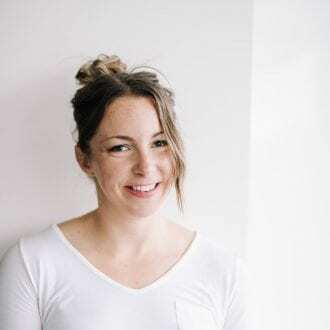 If you guys enjoy this recipe, I’d really appreciate you taking a moment to share it via your favourite social network below! And if you post it on Instagram, don’t forget to tag me @runningonrealfood so I can check it out! Peace, love and plants, my friends. I made this recipe yesterday amd I just love it. I used red wine vinegar. I’ll be making it again very soon. Loved this simple delightful to eat salad!! I subscribed to make more of your good ideas! Thank you!